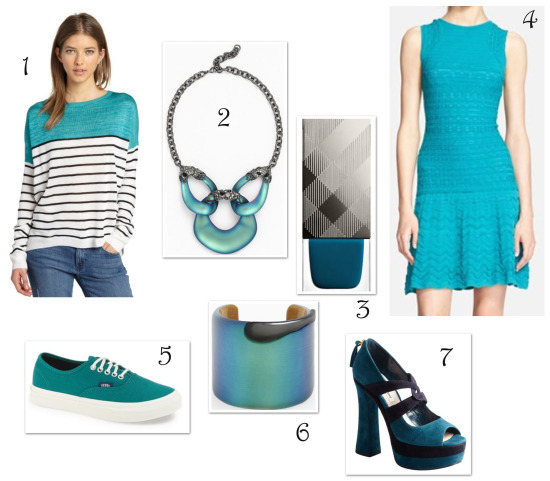 Teal is not only a super flattering color on most skin tones, it is also an easy way we can show our support in September for Ovarian Cancer Awareness Month. The reality of what an ovarian cancer diagnosis means for most women, hit the MSL radar when we profiled our Mom Muse Nicole Cundiff and heard the story about how she lost her own mom and started Colleen’s Dream Foundation in her honor. Statistics show that 1 in 72 women will develop ovarian cancer in their lifetime, and because the majority of women are diagnosed when the disease is too far advanced, survival rates beyond five years are low. To try and improve these numbers, Colleen’s Dream is hard at work raising money to help fund research for a early detection test. There are three simple things we can do to help in this effort and save lives. 1. Donate money to Colleen’s Dream Foundation. 2. 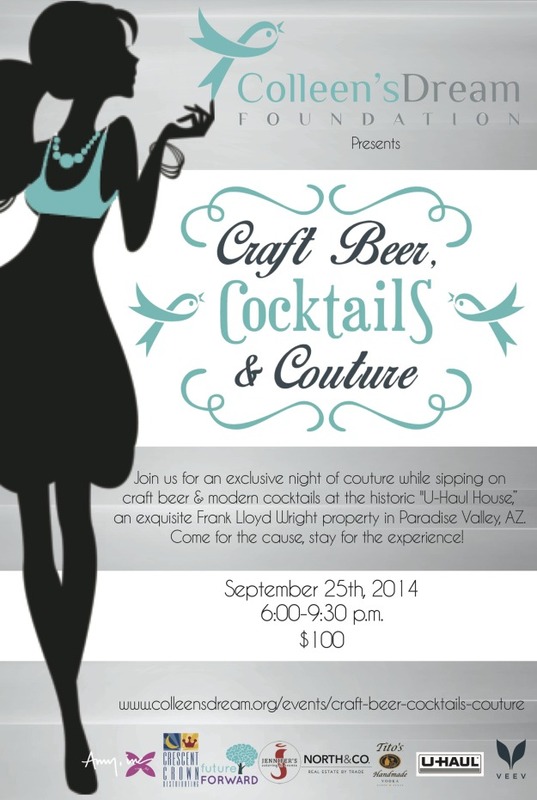 If you’re in the Phoenix area, attend their upcoming fundraiser next week, “Craft Beer, Cocktails & Couture.” It promises to be a fun evening to support a great cause, featuring a fashion show with the latest fall looks by one of our favorite local boutiques, Amy inc. Get your tickets now! 3. Wear teal! 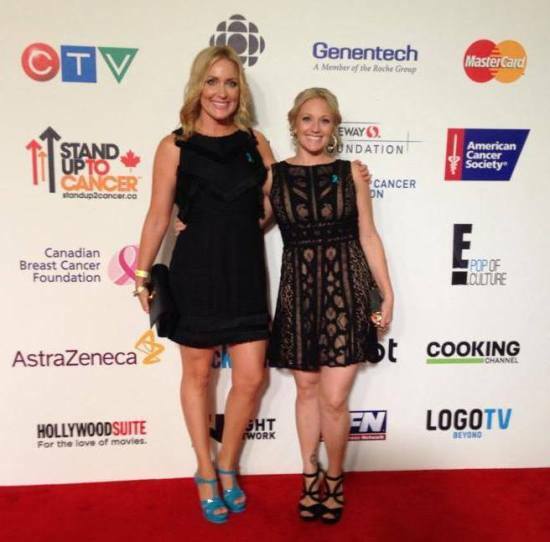 Nicole Cundiff and her sister Michelle Drury rock teal accessories at a recent “Stand Up To Cancer” event in LA. And of course MSL has some fashion-forward suggestions to consider adding to your closet.